How good is your political acumen when it comes to predicting this election? For all the political junkies out there, you can now actually test your prowess (and make $$ in the process)! 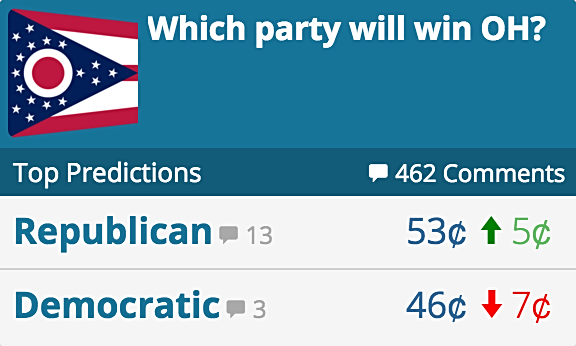 PredictIt is a real money site that tests your knowledge of political and financial events by letting you make predictions and buy & sell shares on potential outcomes. Taking part is simple and easy. Pick an event you know something about and see what other traders believe will be the outcome. It could be the outcome of the Presidential, control of the Senate, which initiatives pass, which states go to the GOP or Dems, or who will win tomorrow's VP debate! The question is, do you think you have the knowledge to beat the wisdom of the crowd? PredictIt allows you to make predictions on future events by buying shares in the outcome based on a Yes or No. Each outcome has a probability between 1 and 99 percent, and PredictIt converts those probabilities into value in US cents. 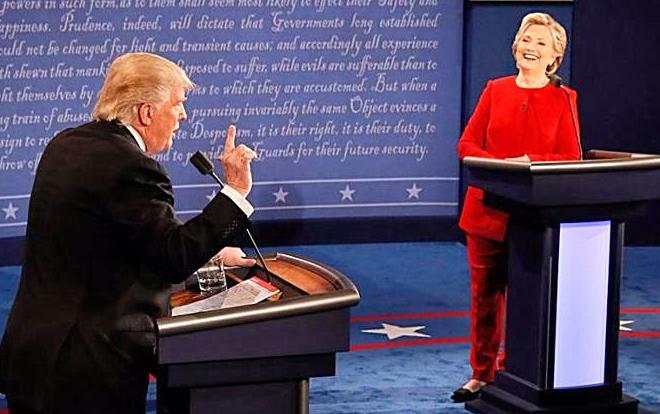 Example: following the First Presidential debate, Hillary Clinton's shares for winning the Presidential Election climbed to a value of 73 cents compared to Donald Trump's shares, worth 29 cents. The key to success at PredictIt is timing. Make your predictions when most people disagree with you and the price is low. When it turns out that your view may be right, the value of your predictions will rise. If an event or outcome does take place, all Yes shares are redeemed at $1. Shares in No become worthless. If the event does not take place before the market closes, traders holding shares in No will be paid $1, while Yes shares will be worthless. Just sign-up with promo code DemList25, which will match you up to $25 in your account, and start trading! Check out the most predicted, trending events being traded on right now by clicking here!